Nike’s Element series is beginning to heat up. 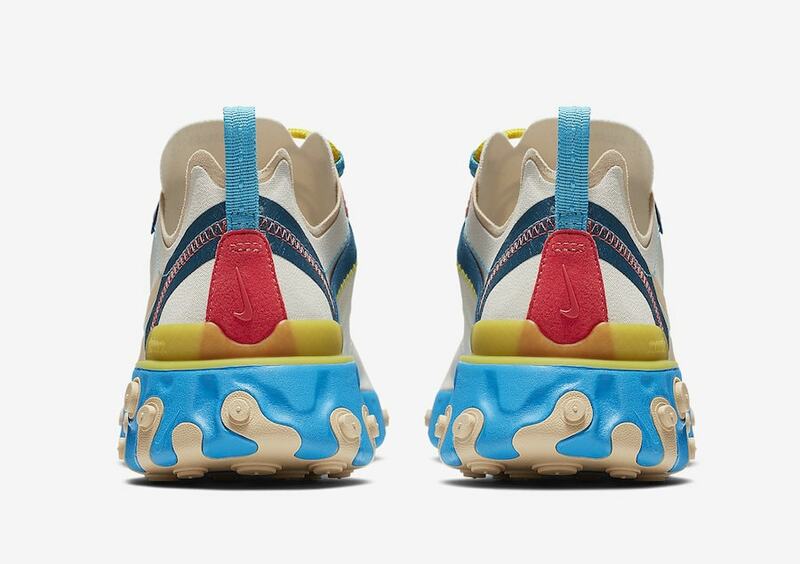 While the flagship Element 87 model is racking up sneaker of the year titles, the easier-to-find Element 55 is dropping in some scorching hot new colorways. just in time for Spring. Nike’s React Element series is continuing to make a splash in the new year, thanks to a mixed bag of both the ultra-popular 87 silhouettes and its little brother, the 55. While both shoes have released in colorways that can appeal to anyone, the Element 55 is beginning to take on some more interesting new looks. 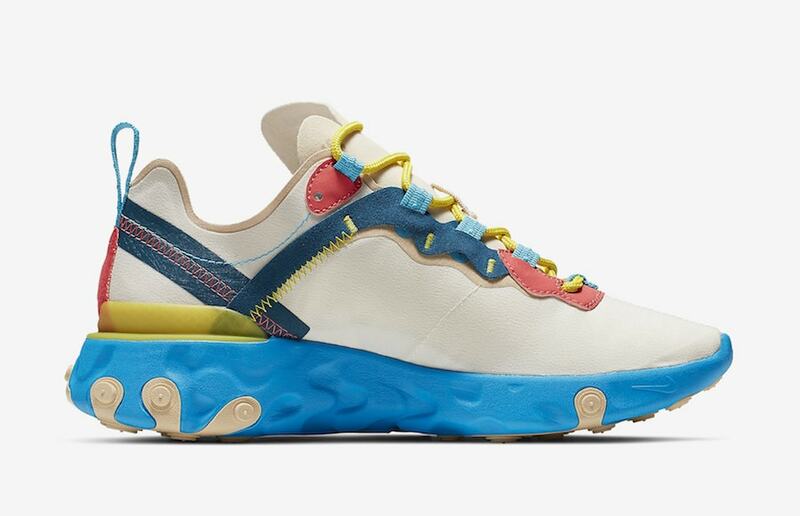 This week, another new take on the flagship React shoe has surfaced online, showing off the aggressive midsole in an eye-catching “Electric Blue” color. 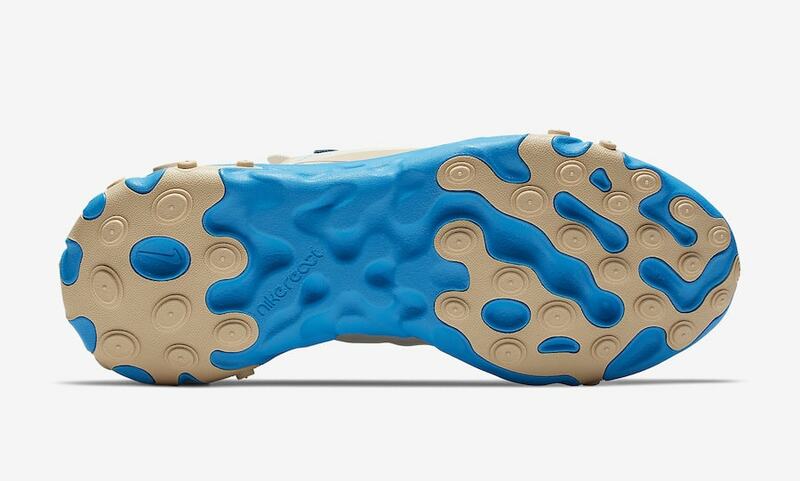 While the extremely bright midsole is the first thing one’s eye notices with this Element 55, it is not the most interesting piece of the shoe. The upper of this colorway begins in a relatively featureless neutral upper in tan featuring slightly darker Swooshes. The laving system takes on a whirlwind of color, painting the leather overlays in navy blue and hot coral, tied together by bright yellow stitching and laces. 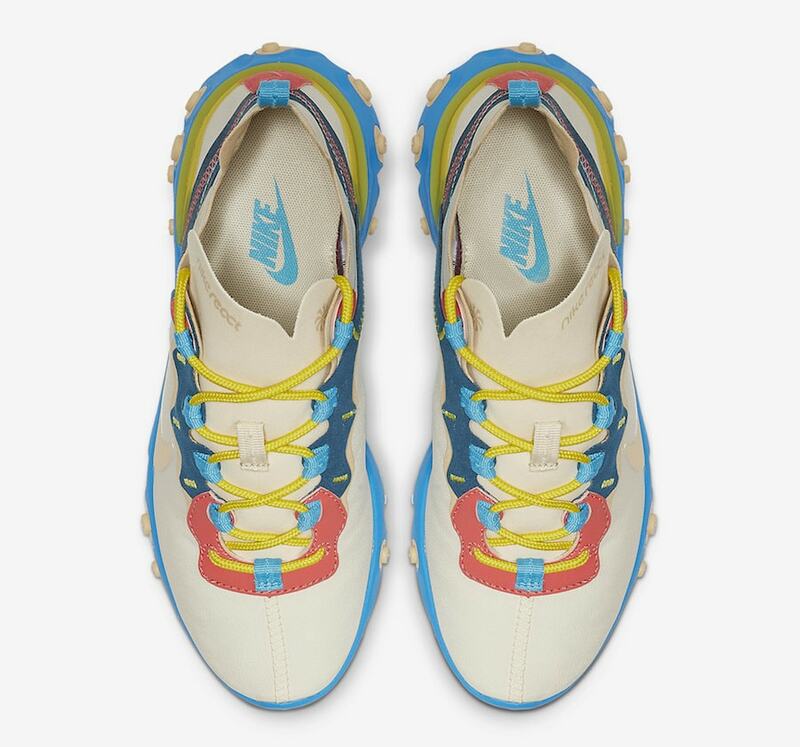 Nike’s brightly-soled take on the Element React 55 is scheduled to release sometime soon, though no specific date has been announced yet. The new look will retail for the usual $130, and release from both Nike and select retailers. Check out the official images below for a better look, and stay tuned to JustFreshKicks for more Nike Element release news. 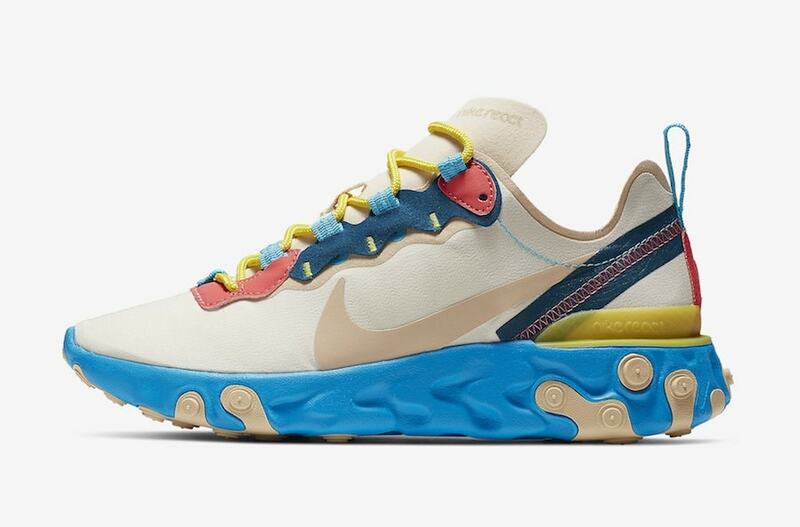 The post Nike Paints The Element 55’s React Midsoles in Electric Blue appeared first on JustFreshKicks.